Last Wednesday night Becks and I met with my sister and her husband at Masala Zone in Covent Garden for a late exchange of Christmas presents over dinner. Dishoom has taken the mantle as the most popular Indian in Covent Garden, but with queues there reaching stupid proportions and a no booking policy for small groups we gave Masala Zone a go. Speaking to people in the office, thalis (a meal of small dishes) seemed to be the dish of choice. The last thali I had was on the rooftop of a restaurant over looking the Taj Mahal. The location, friendly service, tasty food and amazing value of India was going to take some beating. I started by ordering a chaas which was advertised as a low fat lassi. What arrived was nothing like a low fat mango lassi that I had envisaged / hoped for. It was a relatively thin yoghurt drink with a heavy dose of cumin and coriander. It took a few sips to adjust my expectations and then I enjoyed it. 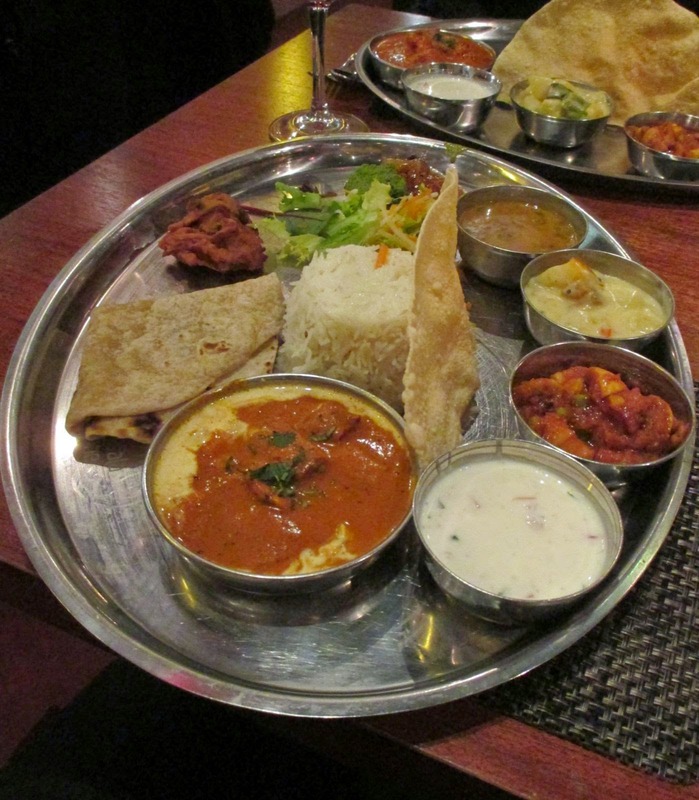 As a main course I ordered the grand vegetarian thali. You are allowed to select one curry for the thali and I chose the paneer curry. If I'm honest the food wasn't outstanding, but it's a solid option in Covent Garden if you want reasonably priced food and quick service. I'd happily go back.